We have all seen Greek life portrayed in movies and television. In films such as Legally Blonde and The House Bunny and TV shows such as Greek, you are given ideas about Greek life that can sometimes be very far from the truth. So let’s debunk some of these myths and set the record straight about what it’s like to be Greek here at Illinois State! MYTH: You are paying for your friends. REALITY: While many if not all Greek organizations have fees and dues that members must pay, this does not mean that you are paying for friendships. Your Greek organization will help to break you out of your shell, but it is up to you to make the most of it. The close friendships that you form are something that money could never buy. MYTH: All Greek organizations haze. REALITY: This could not be further from the truth. Illinois State University has a zero tolerance policy when it comes to hazing, for which there are serious consequences. I can tell you from personal experience that rituals and traditions are something that chapters consider very special, and they want to make sure that every member feels welcome and safe. MYTH: Academics do not come first in Greek life. REALITY: Contrary to popular belief, Greek chapters have high expectations for their members when it comes to academics. Many chapters have GPA requirements that members must follow, and academic plans such as tutoring and library hours that they must log. Remember, we are students first! 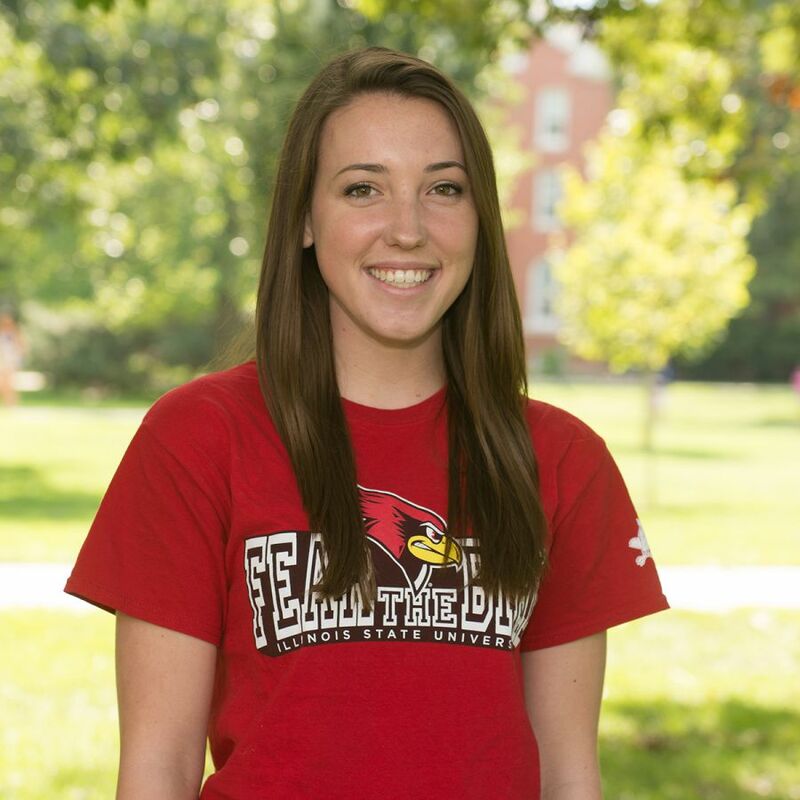 #BirdofMouth blogger Lily is a member of Delta Delta Delta. MYTH: There are rivalries between different Greek organizations. REALITY: Chapters within the Illinois State Greek Community are all here to support one another. There is a strong sense of camaraderie between organizations. The Fraternity and Sorority Life office hosts events such as Greek Week during the year where chapters have the chance to participate in some friendly competition. They attend each other’s philanthropy events, support one another in times of need, and celebrate successes that any chapter may have. No matter the letter, we are all Greek together. MYTH: Illinois State only has a select group fraternities and sororities. REALITY: Illinois State has over 35 Greek organizations here on campus, and not all of them are socially based. There are multicultural chapters, academic and major based chapters, and chapters that are also focused on community service and leadership. There are many organizations for you to choose from, and they all have their own unique set of values and ideals to offer members. It’s all about what is finding what fits best for you!